The Fatigue Design Diagram (FDD) is a reliable method of taking credit for compressive residual stresses in design. During the design process of a metallic component, applied stresses are generally determined using finite element analysis (FEA) to ensure the part can withstand the applied loads either in yielding or fatigue. To reduce the applied stresses, designers can modify the geometry by adding material in critical regions or by using a material with more desirable properties. Utilizing the FDD method, the designer can reliably use compressive residual stresses (RS) to offset the applied stresses thereby improving performance. Incorporating compressive RS in metallic components has long been recognized to enhance fatigue strength. However, credit is seldom taken for RS in design because RS may not be stable or reproducible and a reliable method of including RS in design has not been available. 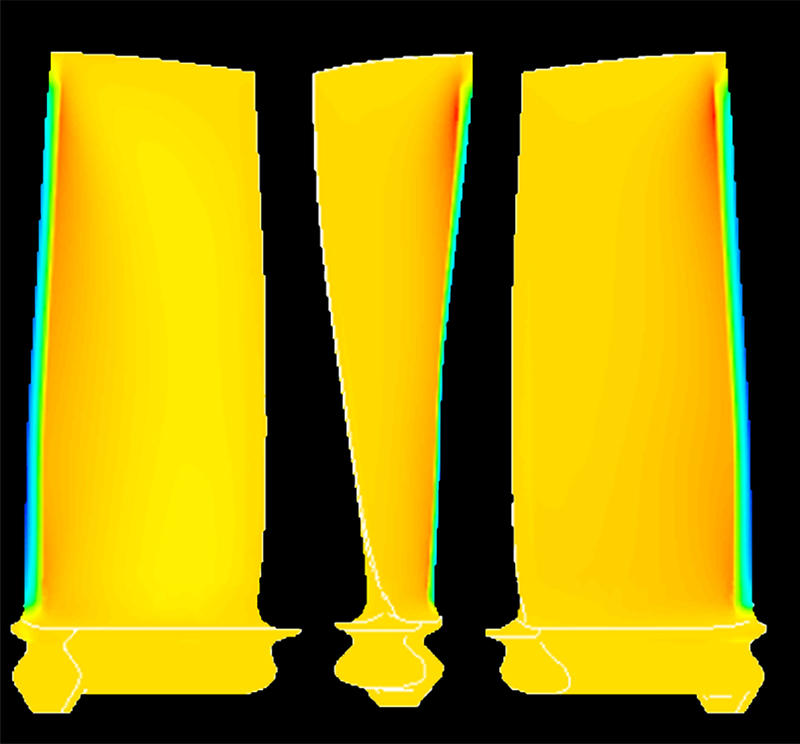 Finite Element Analysis (FEA) used in the fatigue design of components. Finite element analysis (FEA) and other stress calculations are used in the fatigue design of metallic components throughout many industries including medical implants and engine components. However, credit is seldom taken for inserting compressive residual stresses (RS) in components to enhance fatigue strength. High Cycle Fatigue (HCF) Testing is a vital phase of the design process. 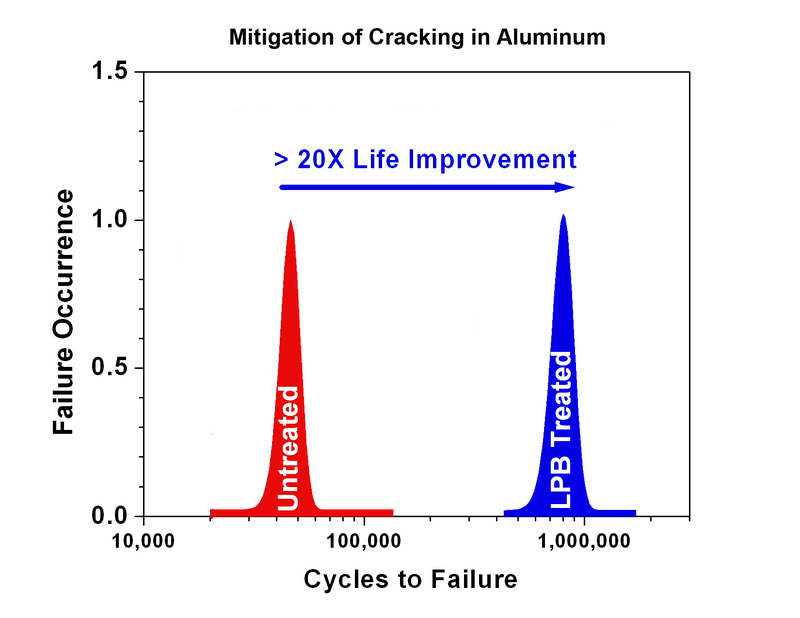 High Cycle Fatigue (HCF) testing, referring to the number of cycles to failure and used in predicting fatigue life, is a vital phase of the design process. Locating areas prone to fatigue early in design by incorporating FEA modeling and HCF analysis can result in improved component reliability. 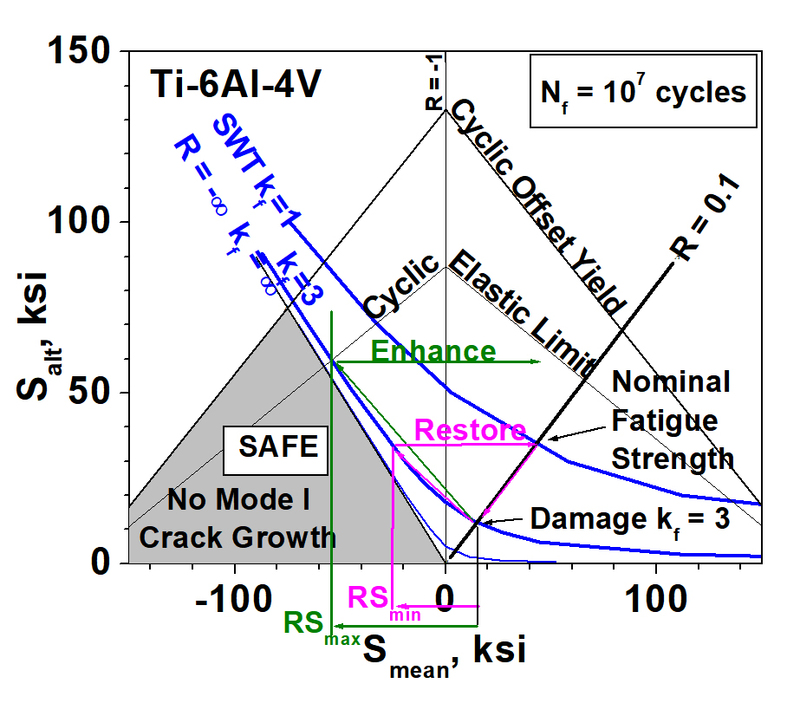 The Fatigue Design Diagram provides a design tool to allow credit for compressive residual stress. Lambda Technologies’ patented FDD has been applied throughout a sequence of contracts with NAVAIR, the Naval Air Systems Command. A recent contract (Navy Topic N05-026, Design Tools for Fatigue Life Prediction in Surface Treated Aerospace Components) supports transition to commercial software providing a reliable method of designing beneficial, compressive RS magnitude in components for optimal fatigue performance. Fatigue Design Diagram predicts fatigue behavior and provides savings. Prediction of fatigue behavior in the presence of damage. Provides a design guideline to determine the compressive RS magnitude needed to achieve a target damage tolerance. As an additional benefit, the use of the FDD allows reduced use of excess material which is a common practice in traditional “over” design. This not only provides a significant weight savings in the part but also serves to lower production costs. Furthermore, the FDD method provides a cost savings in view of the fact that with enhanced service life it will no longer be necessary to maintain and replace parts as frequently, thereby reducing labor as well as costly aircraft and machine downtime.